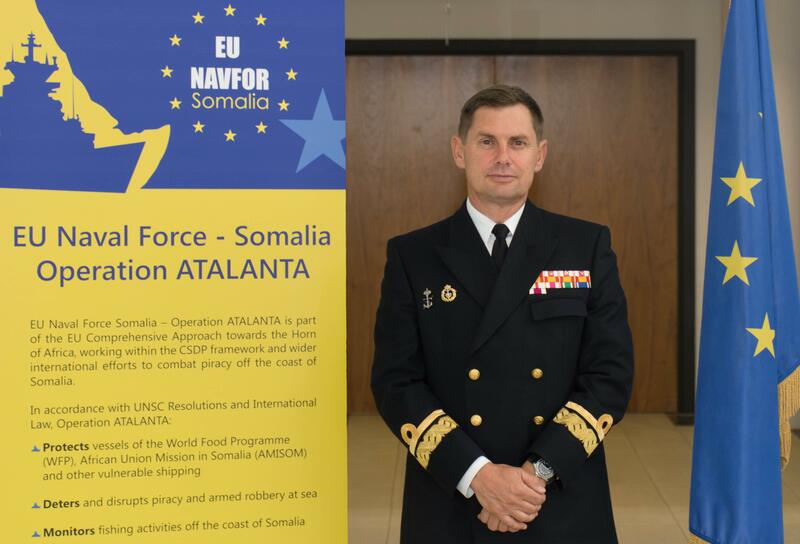 With a great honour we present an exclusive interview with the Operation Commander of the European Naval Force in Somalia Major General Martin Smith on the legendary Triumph of the European Union Naval Force in ATALANTA. 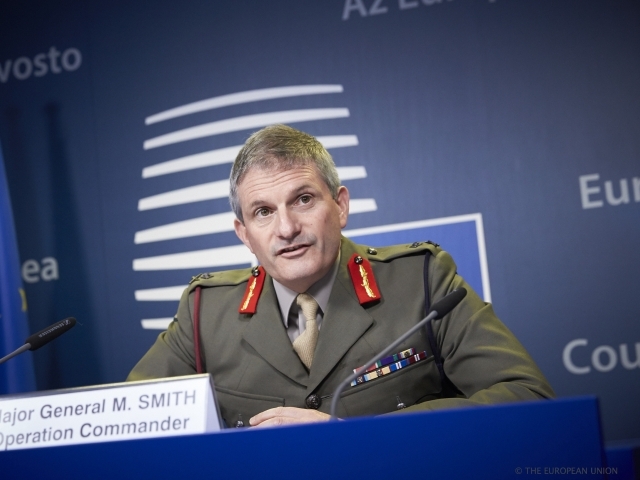 Major General Martin SMITH, the Commander of European Union Naval Force in Operation Atalanta, during a press briefing in Brussels 2016© European Union/European Council. 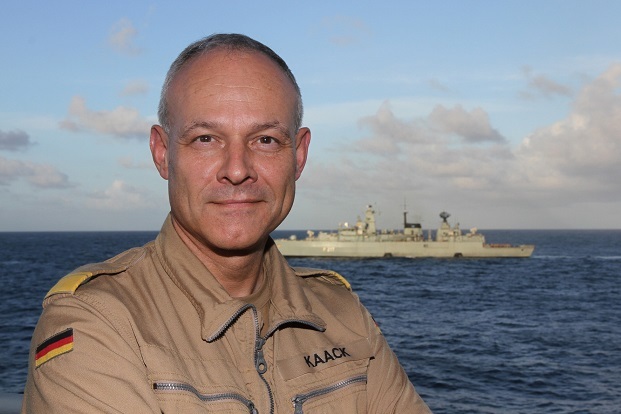 In the exclusive interview series, this time we have the honour of hearing views from Force Commander in Operation Atalanta, Rear Admiral Jan C Kaack on the various aspects of Atalanta and its luminous success. In our exclusive interview series, it is a tremendous honour to hear views from Rear Admiral Gonzalez-Aller Lacalle, Deputy Operation Commander of European Union Naval Force Somalia, on the diverse aspects of the Operation Atalanta and its continuous success. 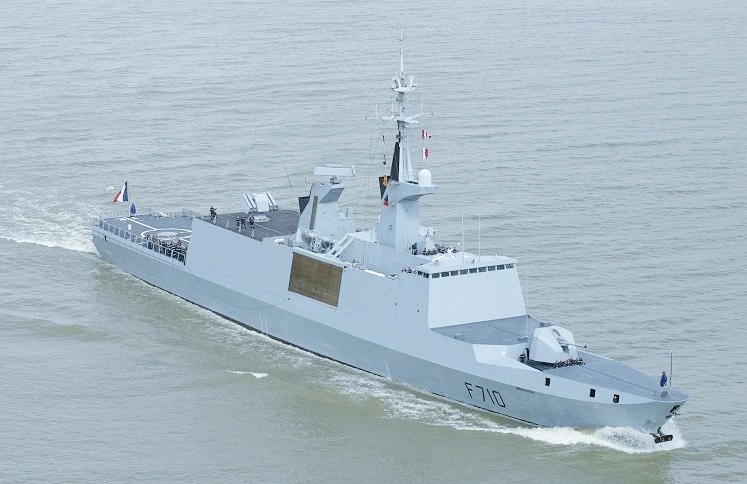 On September 28, the French Navy redeployed its Frigate La Fayette in Operation Atalanta to join the other European Naval Forces in the EU NAVFOR for the ongoing Operation. 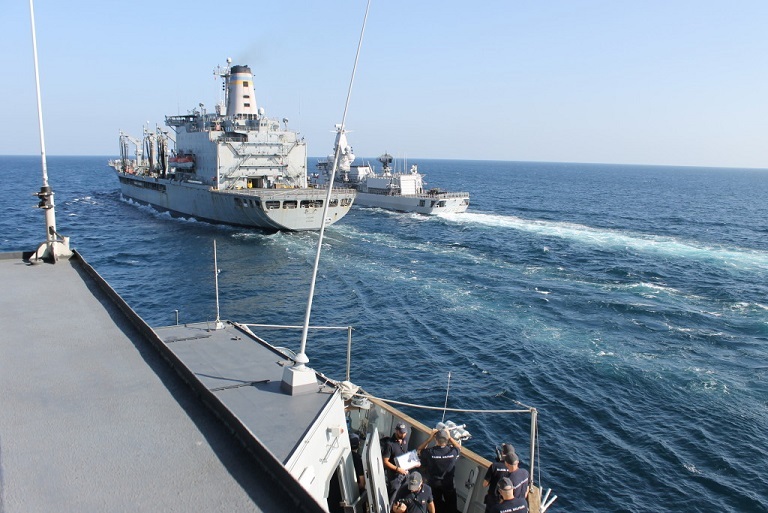 Marking it not the first time, the multi-task Naval vessel carrying the name of General la Fayette has been previously in several rotational terms deployed in EU NAVFOR for combating the piracy and reinforcing the Maritime Security in the Indian Oceans and gulf of Aden. At the end of July on the 29 in the UK HQ Office of the European Naval Force OP. 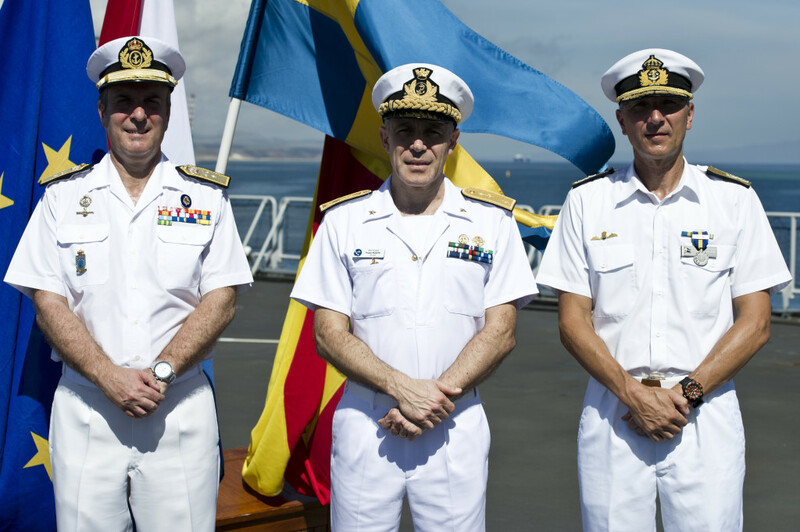 Atalanta, Rear Admiral Cristobal Gonzalez-Aller from Spanish Navy assumed the leadership of Deputy Operation Commander from Rear Admiral Jonas Wikstrӧm of Swedish Navy. Rear Admiral Jonas Wikstrӧm has been the Deputy Operation Commander European Union Naval Force Somalia since January 2016. His outstanding leadership during his term covered the entire aspects of the OP Atalanta and the enhancement of the Maritime Security off the Horn of Africa and in the Indian Ocean. The German Navy’s most resourceful Eagle, who flies so high in the day time and in the shimmering nights. Puissant and versatile ….a mighty creature whose life has been intertwined with the Oceans…. 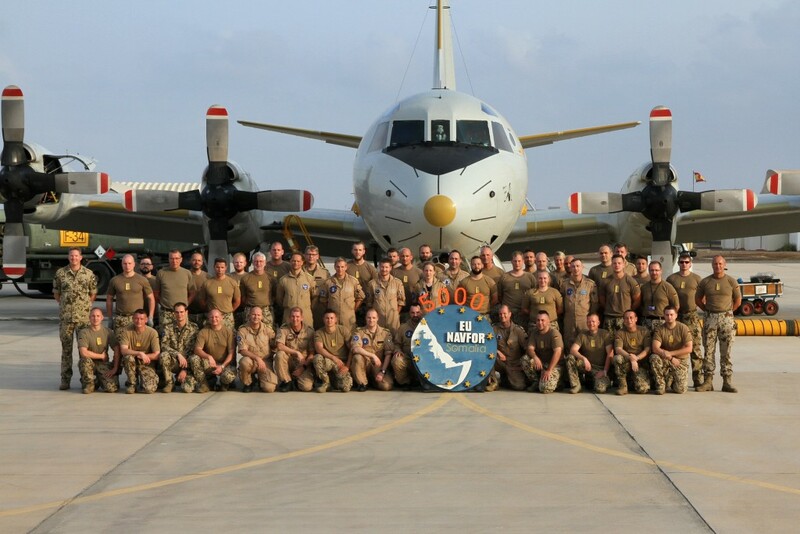 and the Seas, ‘the P-3C Orion’ ……..
…..has left on June 16 the Operational field of the Atalanta in Djibouti, to sojourn in its homeland in Germany. The Bundeswehr has affirmed its plan to redeploy the ‘MPRA’ to Operation Atalanta a few months later, in early September, when it will be most needed. From 17 June, the Spanish Air Force’s P-3 Aircraft continues the Operation with the Flagship FGS Bayern under the command of Force Commander, Rear Admiral Kaack. 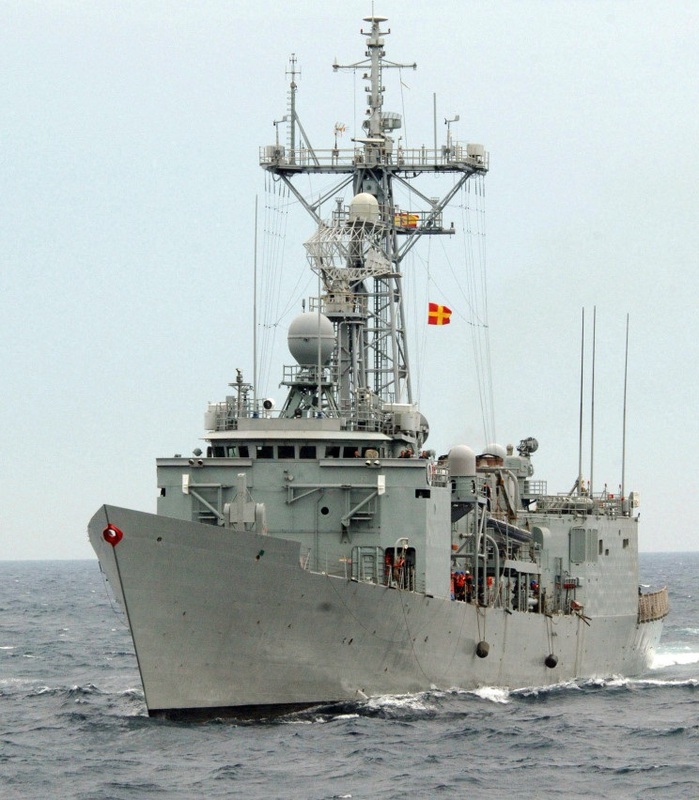 Frigate ESPS Santa Maria of Spain has been redeployed on the Operation Atalanta on 15th May to stay in the next five months. Described by EU NAVAL Force, Frigate ESPS Santa Maria has a high caliber Operational capabilities including a unique Maritime Surveillance and Reconnaissance system, Remotely Piloted Air System, and the Seahawk Helicopter on board. With the arrival of ESPS Santa Maria, the Multitask Warship ESPS Tornado also of Spanish Navy will return to its port in Gran Canaria, after months of successfully conducting counter-privacy Operations in the Indian Ocean and Gulf of Aden. 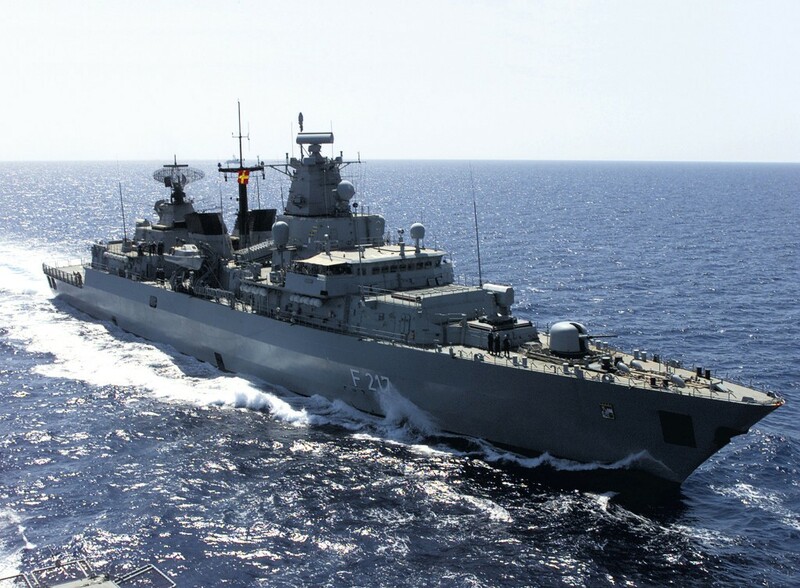 As a part of EU Naval Force since 2008, the German Navy has been playing a crucial role in Operation Atalanta. 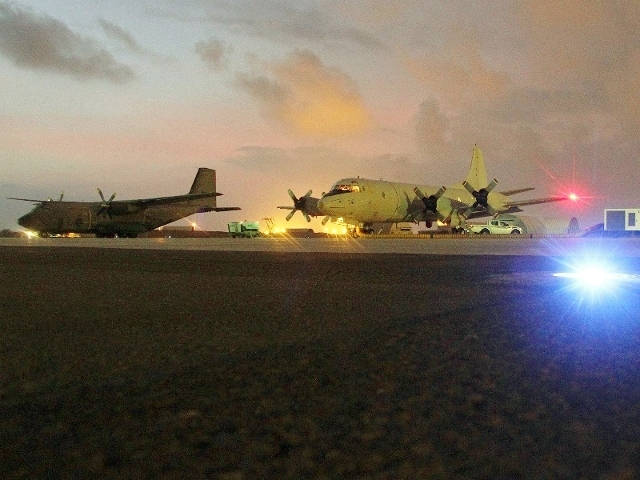 Its Naval Eagle P-3C Orion flies regularly upon the Oceanic waves in patrolling the coast of Somalia and the gulf of Aden for Maritime Reconnaissance, Transmitting the Intel to the Flagship, currently Frigate Bayern, for the Force Commander to evaluate…..determine and command the next stage. 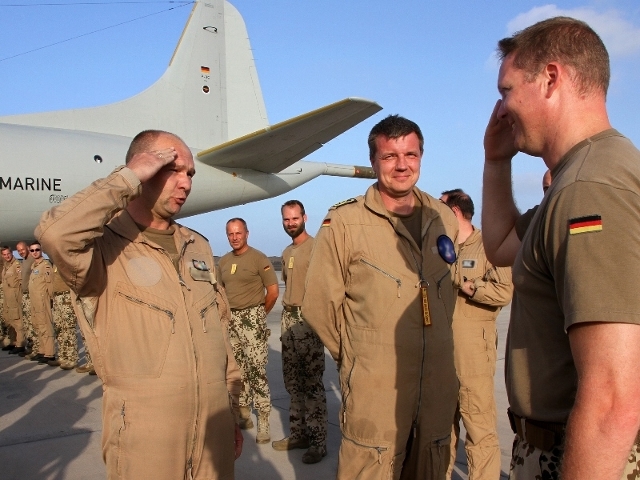 Lieutenant Commander Kai Hansen, also personally congratulated the two Bundeswehr’s Pilots from the MPRA Team, each with 4000 hours of successfully fly in the Operation Atalanta. 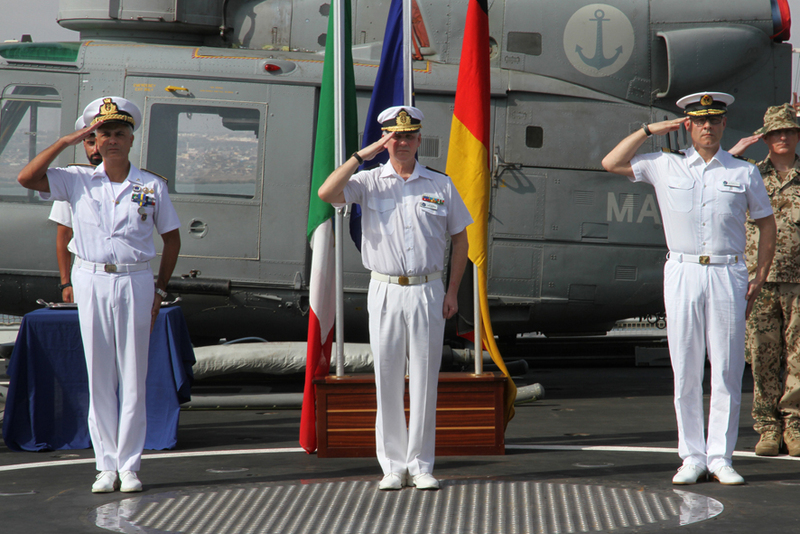 On March 23 the German Navy took over the Command Force of the Operation Atalanta which was previously under the Command of Italian Navy. In the next five months Frigate Bayern under the Command of Rear Admiral Jan Kaack will be the Flagship of Operation Atalanta and continues the EU Naval Force Mission at Sea (the Horn of Africa) and in the Western Indian Ocean. “I am proud to take Force Command of Operation Atalanta today. Whilst there have been no successful acts of piracy recently, this does not mean that the threat from piracy has gone away. Übt man genug Druck aus, stoppt die Blutung. Lockert man zu früh, geht es wieder los. Die Fähigkeit und der Wille der Piraten, erneut loszulegen, sind noch da! “We must remain vigilant and continue to work together to ensure that the pirates are not given the opportunity to get out to sea and attack merchant ships and their crews for ransom. I wish Rear Admiral Barbieri and his crew a safe journey home to their families.” ©EU Naval Force/die Bundeswehr. Elaborated Real Admiral Kaack on the occasion of assuming the Command. The United Kingdom, with the longest Naval history at Seas and the Oceans from the 9th century onwards, has an exceptional role– an eminent Leadership to exert in European Naval Force in Operation Atalanta, the EU Naval Force in Operation Sophia, in the NATO’s counter-piracy Mission Operation Ocean Shield and in recent NATO Operation in the Aegean Sea. was launched in December 2008, within the framework of the European Common Security and Defence Policy (CSDP) and in accordance with the UN Security Council Resolutions and the International Law. With the Comprehensive Approach, the Operational area covers the Southern Red Sea, the Gulf of Aden and a large part of the Indian Ocean, including the Seychelles, Mauritius, Comoros, the Somalia’s coastal and internal waters. • To Protect World Food Programme (WFP) Vessels delivering aid to displaced persons in Somalia, and African Union Mission on Somalia (AMISOM) shipping. The EU NAVFOR is under command of Major General Martin Smith, from the UK Royal Marines. 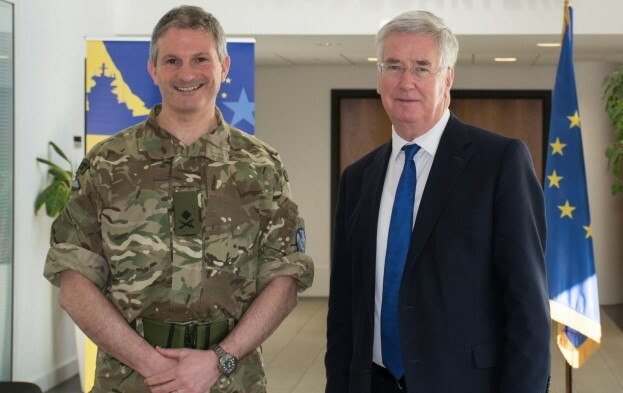 The UK Secretary of State for Defence, The Rt Hon Michael Fallon visited EU NAVFOR’s Operational Headquarters in London. The visit was to ensure the EU Naval Operation of the un-ending UK’s commitment and supports. 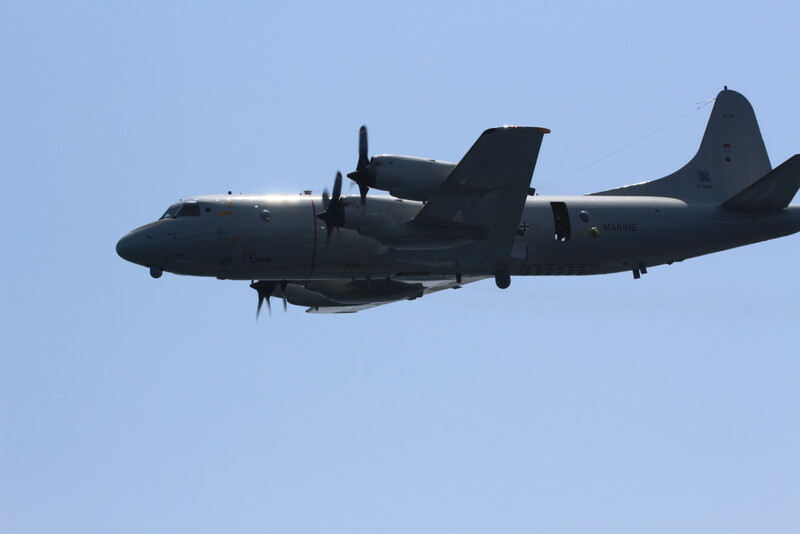 The German Maritime Patrol and Reconnaissance Aircraft (MPRA) flied and accomplished its missions– in support of the Flagship the Italian ITS Carabiniere in Operation Atalanta. The Aircraft has been in Operation in EU Naval Force since 2008. In its latest mission it re-joined the Operation Atalanta in September 2015 under the Commanding Officer, Commander Bodo Ahlers. In November, the Aircraft conducted successfully several joint Operations with the Italian Carabiniere in Counter-Piracy Mission in the Horne of Africa. Since 2008, as a vital part of EU Naval Force, the Royal Netherlands Navy has been greatly engaged in Operation Atalanta. 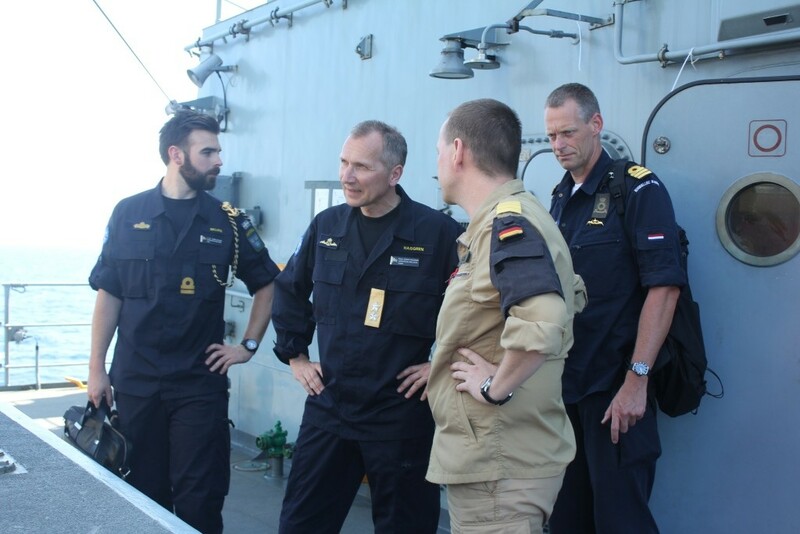 In August 2015, for the first time, the Royal Dutch Navy deployed one of its golden Ace ‘Patrol Vessel HNLMS Groningen’ to EU Naval Force for the ongoing Counter-piracy ‘the Operation Atalanta’. In its leading position, the Royal Warship HNLMS Groningen was engaged in: Patrolling the regional water for maintaining Security and giving protection to ‘ Food and Agriculture Organization of the UN’. And in the Joint Training and Exercise with the regional Maritime Forces. 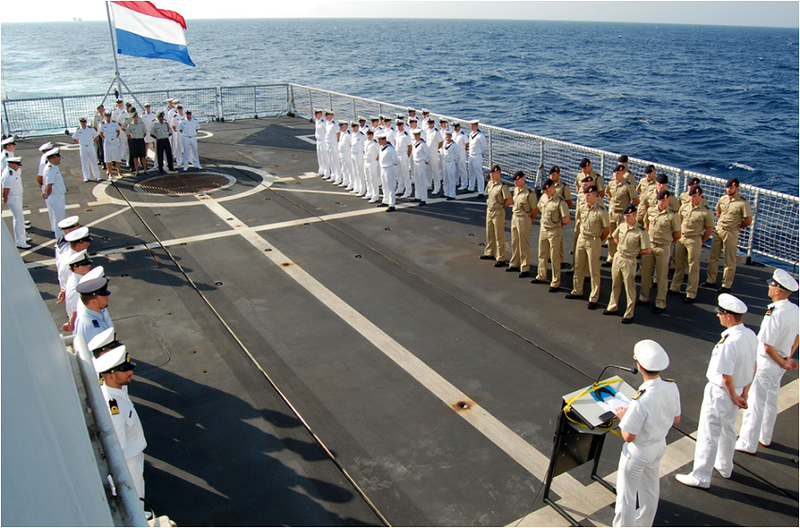 On November 27. the Royal Netherlands Warship accomplished its three months period mission and was awarded the Medal of Operation Atalanta. 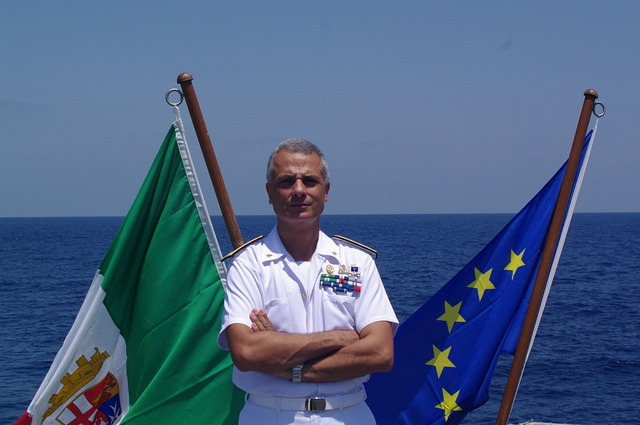 In an official ceremony Rear Admiral Stefano Barbieri of Italian Navy assumed, from Spain, the Force Command of the EU Naval Force in Operation Atalanta. In a few week time, by mid November, the EU Naval Force Flagship will be also handed over to ITS Carabiniere of Italy. 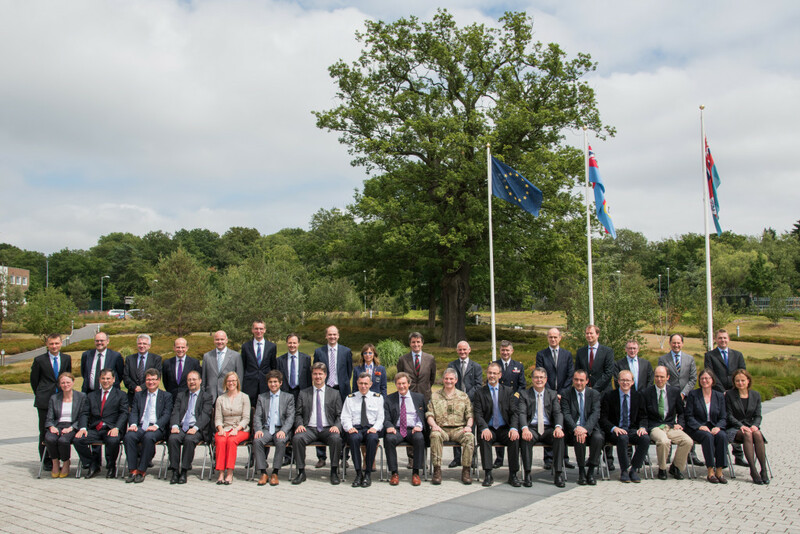 The European Ambassadors visited the EU Naval Force HQ in London and met with Major General Martin Smith MBE, the Operation Commander of the European Union Naval Force. 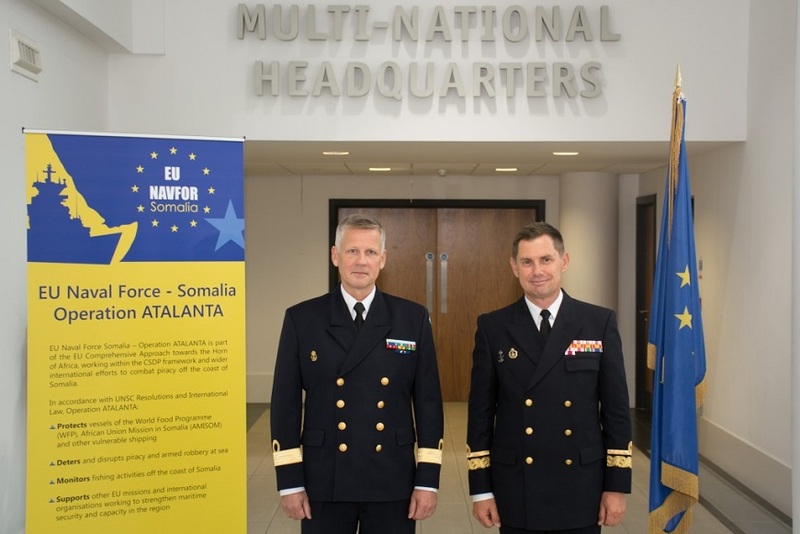 The Operation Commander of the European Union Naval Force Somalia, also emphasized in his briefing the need for continuation of vigilance at Sea for maintaining the achieved Maritime Security. 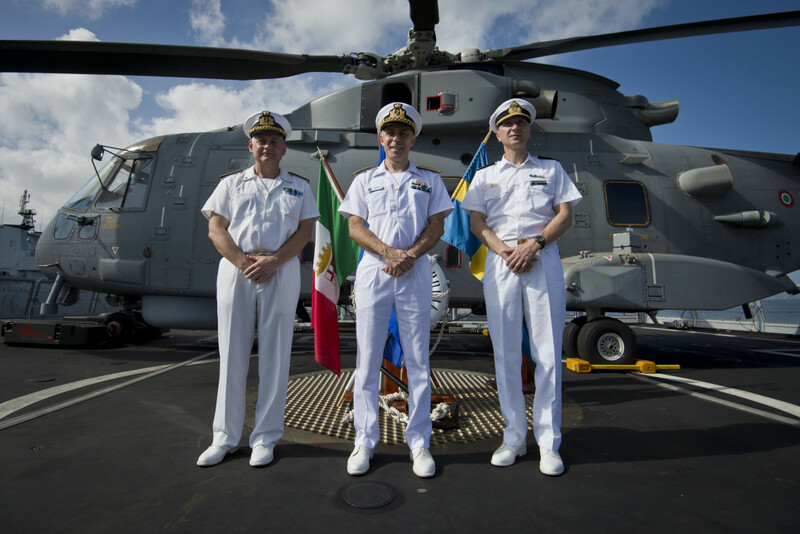 Rear Admiral Alfonso Gómez from the Spanish Navy assumed the Command of the Operation Atalanta’s Force Headquarters. During this period, the Operation Atalanta will be carry on from ESPS Galicia warship of the Spanish Navy. Currently there are 14 EU member States participating in the day to day Operation. “I want to congratulate my predecessor and his crew. Jonas, thank you and Bravo Zulu. I am truly grateful to the EU Member States for appointing me as the Force Commander of Operation Atalanta and I realize that the appointment comes with high responsibility.” elaborated Rear Admiral Gomez during the official ceremony. 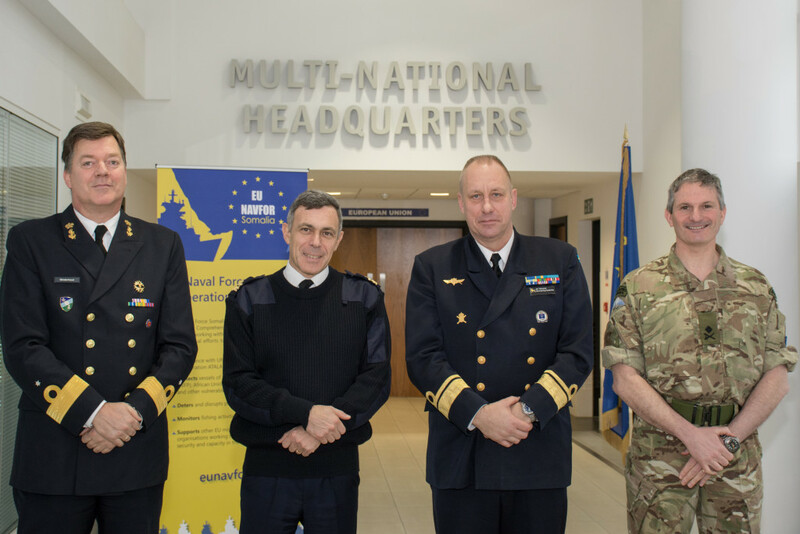 On February 16th , Rear Admiral Thörnqvist visited the EU Naval Force Headquarters in London and met with the Operation Commander of the EU Naval Force, Major General Martin Smith MBE, and several other high ranking Military Commanders. He also met with the Swedish Military personnel and the International Military staff working at the Headquarters. In the February 2015, the Royal Swedish Navy has assumed also the Command of the EU Naval Force in ‘Operation Atalanta’ for the second time. On February 13th, Rear Admiral Haggren from the Royal Swedish Navy has assumed Command of the EU Naval Force at the Sea in Operation Atalanta. This transferring Command makes the second time for the Royal Swedish Navy to be in Command of the Counter-Piracy Task Force on the coast of Somalia. “I am looking forward to this important role and am confident that we will do our very best to support the operation.” elaborated Rear Admiral Haggren in his speech during the ceremony. As the new Commander of the Operation, in one of his first official tour Rear Admiral Haggren visited ‘Frigate FGS Bayern’ from the German Navy on February 24th. His visit was warmly welcomed by the Commanding Officer Commander Frank Fahnrich and the crews. The EU Naval Force for Operation Atalanta is the largest combined European Naval forces that are working in unison for Counter-Piracy in the coast of Somalia. The mission was established under UN Security Council and was mandated and set into Operation since December 2008. In November 2014 the Council of European Union announced the extension of the mandate for Operation Atalanta until 12 December 2016. There are currently 21 EU States and 2 non-EU States are taking part in this Mission. All the materials on Deutschland in der Welt.org (articles, news, photos, videos, media) are from various Governmental Agencies and are strictly Copy-righted. Redistribution, reproduction, copying, or linking the content of this organization, in any kind, are prohibited by Law.